SACRAMENTO—At its public meeting on February 19, the Judicial Council will get a progress report on a working group charged with reviewing recommendations made by the California State Auditor on council operations and spending. Chief Justice Tani G. Cantil-Sakauye created the working group the same day of the audit’s release in January and asked the group to report on its progress to the Judicial Council at its February business meeting. Justice Douglas P. Miller, chair of the working group, and Administrative Director Martin Hoshino will deliver the report. Implementing Strategic Plan for Language Access in the California Courts: California Supreme Court Associate Justice Mariano-Florentino Cuéllar, chair of the Language Access Plan Implementation Task Force, will provide an update on proposed areas for focus, anticipated outreach, and potential challenges for implementing the Strategic Plan for Language Access in the California Courts, which the Judicial Council adopted at its business meeting last month. Grants to Help Reduce Recidivism by Adult Offenders: The council will consider recommendations on grant funding from the Recidivism Reduction Fund Court Grant Program. The Legislature allocated $15 million for the grants and directed the council to develop and administer a competitive grant program for trial courts that use practices known to reduce recidivism. Reserve Funding for Earthquake Damage in Napa County: The council will consider a request for supplemental funding for the Superior Court of Napa County. The funding would address relocation costs due to the significant earthquake on August 24, 2014, which required the immediate closure of Napa’s historic courthouse. Changes to Court Technology Programs: The council will consider recommendations on changes to a number of statewide technology programs to achieve savings in the State Trial Court Improvement and Modernization Fund; creating a working group or designating an existing committee to focus on technology-related efficiencies and cost-saving measures for small courts; and having its Information Technology office consider replacing external contractors with employees. 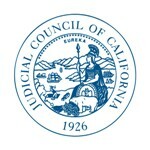 Note: The February 19 Judicial Council business meeting will take place in Sacramento, rather than San Francisco, because the meeting will be preceded by a day of council legislative visits at the state Capitol. More than 50 visits are anticipated.